Every year before Pesach, the debate around kitniot starts again. I have written about what kitniot are and where they come from before and about whether different food items are kitniot (check the index page of kitniot posts). I don’t want to argue about whether the minhag makes sense or what the exact list of kitniot may be. Everybody has to decide that for her/himself, fix a list of things she/he considers kitniot and stick to it. keep kitniot in the house, buy them or sell them. feed kitniot to young children, ill people or pets. use non-food products that contain kitniot. eat from plates that had kitniot on them (e.g., in the non-kitniot-keeping-but-otherwise-kosher-le-pesach house of a friend). take medicine that contains kitniot. eat things were some kitniot accidentally fell in, Kitniot are batel beRov, i.e., nullified if there is a majority of non-kitniot. Really!! This is unambiguous orthodox halacha! Dovid Mordachai: What the Hell are Kitniyot? It starts with a funny discussion/rant about the logic of kitniot, then a small song. Have fun! 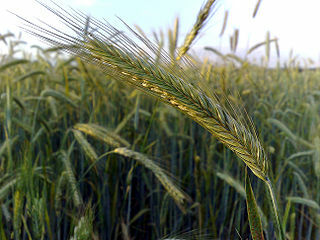 "it looks like a grain" is also among the reasons given for kitniot. Crop rotation explains why legumes (beans, peas, etc) became kitniot, but I don’t think it fits for rice or millet. Here the similarity to grain is a better explanation. There’s way more reason to forbid maize/corn than potatoes because corn is actually botanically in the same category as the grains that become chametz (see my post on maize/corn). Actually that people make peanuts kitniot is a good example for his argument that kitniot is a custom and a decree by rabbis. Although Rabbi Moshe Feinstein decreed them to be non-kitniot, the people want them to be kitniot (see my post on peanuts). It seems people like to expand the list of kitniot. Not all kitniot are beans, rice is isn’t a bean, it’s a cereal grain. Botanically speaking if we were to say that beans and cereal grains can be kitniot, this would mean we should make peanuts and corn kitniot, but not quinoa and coffee (see also my posts on quinoa and coffee). That might be a semi-rational route to take, but it’s still somewhat logical. Other that that I pretty much agree that if people want to continue to not eat kitniot, that’s fine, but don’t expand the list every year! 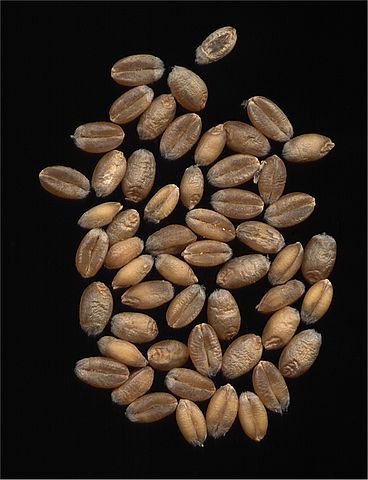 In a previous article I listed the five grains that can become chametz: Wheat, barley, spelt, rye and oats. Where does the list come from? It appears in the Talmud, Mishna Pesachim 2:5, which lists in Hebrew חיטים (chittim), שעורים (se’orim), כוסמין (kusmin), שיבולת שועל (shibbolet shu’al) and שיפון (shifon). 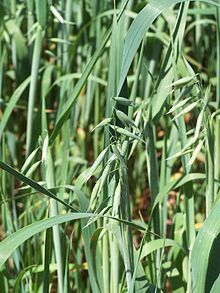 The only certain translations that can be mapped to actual species of plants are the first two, chittim means wheat, and se’orim is barley. The other three are unclear. 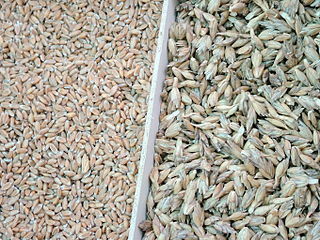 Rashi translates kusmin as spelt, shibolet shu’al as oats and shifon as rye which gives the above list. 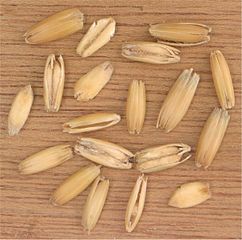 But according to the research of Dr. Yehudah Felix as reported by Rabbi Dov Linzer in Are Oats Really one of the 5 Species of Grain?, he seems to have confused some things. 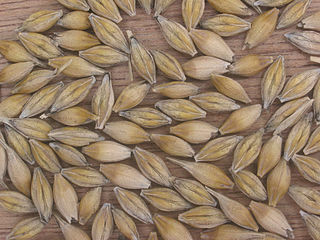 Spelt makes the list, though as a candidate translation for shifon. 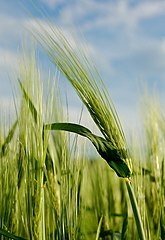 The other two are probably another type of barley and emmer wheat. No rye and no oats. So what do we do with this information? Do we change the list? And what are the consequences? Oats are the only one of the traditional five grains that does not contain gluten and people with gluten sensitivity rely on the opinion that one can fulfill the obligation to eat matza with matza made from oats. Have they been making invalid brachot? Conversely, if anybody ate emmer wheat on Pesach, is he punished with karet (cut off)? We can get to a similar problem fron another angle. Scientifically speaking, what does "leaven" really mean? Rabbi Gidon Rothstein in his article A More Flexible Future Orthodoxy argues that maybe the sages just assumed what was common knowledge at the time, they took for granted that these five were the only grains to become leaven. Now we have a greater understanding of the processes behind leavening, for example we know that yeast is a crucial ingredient. If the list of five species is not tradition handed down from Sinai but the sages’ own interpretation, he argues that we might well include all leavening agents to the category of chametz. 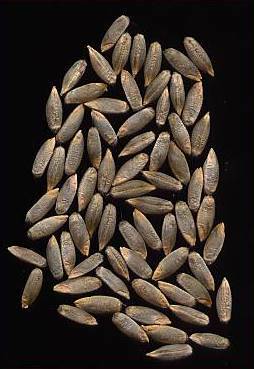 While there are only slight chances that either scientific understanding of leavening processes or an identification of the exact species denoted by the Hebrew words in the Mishna will change the traditional list of grains that can become chametz, this is another fascinating instance where science and Tora collide.